It’s not too early to start thinking about the 2016 HPBExpo! PFI is pleased to announce next year’s Breakfast & Biomass, our annual event at the expo to address the latest trends and issues of importance to pellet fuels manufacturers, retailers and suppliers. Breakfast & Biomass will take place on Friday, March 18, 2016 at 7:30am in the Ernest N. Morial Convention Center. The event will include industry reports, networking opportunities and a full breakfast. The PFI Conference Committee is at work on the program and we welcome your input. Please email Carrie Annand at [email protected] with any comments or ideas. Registration is open for the $35 breakfast. Please visit PFI’s website for more information. 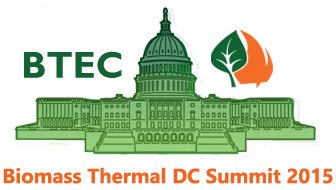 We need your support for biomass energy and encourage you to join us in Washington, DC on November 18th. PFI will schedule meetings with Members of Congress and their staff on your behalf. You simply need to let us know if you’d like to attend. Kindly let us know by Monday, November 2 if you plan to participate so that we may begin scheduling meetings on your behalf. We’ll follow up with you on the appropriate details and logistics. Berlin Memorial Elementary School has received a grant to convert from a heating oil boiler to a highly-efficient biomass boiler heating system. The $178,900 grant from the Department of Energy Resources (DOER) is the fifth award for project implementation from the Schools and Public Housing Integrating Renewables and Efficiency (SAPHIRE) Program. Biomass thermal energy is too often treated by Congress as the underappreciated offspring of alternative energy. This may soon change, as the House Biomass Caucus has recently been rechartered under the leadership of freshman Rep. Bruce Westerman, (R-Ark. ), who holds a master of forestry degree from Yale, and second-term Rep. Ann Kuster, (D-N.H.). The last time there was a Biomass Caucus in the House was 2012. The European Biomass Association (AEBIOM) recently released its annual statistical report, providing an outlook on European bioenergy for 2015, with a comprehensive overview of the latest market trends in bioheat, bioelectricty and biofuel sectors. When Enviva arrived in the Roanoke-Chowan area four years ago, company officials said the Maryland-based operation would be a “game-changer” in the local area. Based on the latest employment numbers at Enviva’s two local pellet mills as well as related jobs in the logging and trucking industries, they have lived up to their word.